Groupe Crédit Mutuel CM11 is a leading French bank, with headquarters in Strasbourg. The Crédit Mutuel CM11 group is made up of the Crédit Mutuel network and all its subsidiaries. With around 70,000 employees - it puts its expertise in finance and services. In terms of branches, Crédit Mutuel CM11 is the third largest retail bank in France, with more than 4,500 spread across the country. The group develops its activities in several European countries (Germany, Spain, Belgium, UK, Portugal, Eastern Europe) and is also present around the world via strategic partnerships with major actors in the payment industry in China, Japan, North and South America and Africa. Crédit Mutuel CM11 has issued 14m cards via its our own card manufacturing subsidiaries. The group resides among the leading acquirers in Europe processing more than 3.2bn transactions a year. It manages more than 250,000 merchant affiliations and has approximately 200,000 POS devices deployed in the field with dedicated subsidiaries in charge of the logistical aspects, such as central buying services, installation and maintenance on site. Crédit Mutuel CM11 is a long-standing member of nexo standards, having previously participated in the OSCar Consortium, the working group dedicated to achieving terminal-to-acquirer interoperability across the European Union’s Single Euro Payments Area (SEPA). In 2012, the OSCar Consortium merged with EPASOrg, and the CIR SEPA-Fast technical working group to become nexo standards. Crédit Mutuel CM11 recognised that its merchant customers faced significant challenges setting up and maintaining a multi-country payments acceptance infrastructure. The incompatibility of proprietary domestic systems between countries, together with the variations in both regulation and approach to integration, were preventing merchants from harmonising their acceptance infrastructures across borders and resulting in unnecessary complexity and cost. Crédit Mutuel CM11 agreed that these hurdles could be overcome through the development of a new, harmonised cross-border approach to acceptance, one that utilised nexo’s globally standardised acceptance messaging protocols. In 2013, Crédit Mutuel CM11 began working in partnership with terminal manufacturer, Ingenico, to develop and trial this new approach. Both organisations developed supporting software tools for their respective positions in the payment chain: Ingenico focused on the terminal and acceptance platform, Crédit Mutuel CM11 developed the elements needed for back-end acquiring integration. The objective was to demonstrate that a standardised and interoperable cross border acceptance and acquiring infrastructure was achievable in practice, as well as in theory. To accomplish this, Crédit Mutuel CM11 also partnered with a merchant customer in France, Market Pay (Carrefour Group). The new trial systems were implemented, based on nexo standards messaging protocols, across France, Spain and Portugal. Through these collaborations, the potential for acquirers, vendors and merchants to build a standardised cross-border system that could accept and acquire transactions using nexo’s protocols was confirmed. Crédit Mutuel CM11 has now successfully deployed nexo’s protocols across France, Belgium, Spain and Portugal. In parallel it has also created a full nexo parameterisation service enabling industrial scale rollout of the nexo Terminal Management System (TMS) Protocol, the nexo Acquirer Protocol and the nexo FAST Specification (manifested in Crédit Mutuel CM11 own terminal application developed with Canadian cooperative bank, Desjardins). In June 2018, the service was launched to all members of the Crédit Mutuel CM11 group, which together represent over 4,500 branches, spread across 17 individual banks. Crédit Mutuel CM11 offering supports both mPOS and countertop terminals. It is also working with Ingenico to prepare a new generation of nexo-enabled terminals, which are planned for commercial rollout in the second half of 2018. Today, almost 1,000 nexo-enabled mPOS and 200 countertop terminals are deployed in the field and have generated excellent merchant feedback on the new user experience. When the final rollout is completed, between 2021 and 2023, Crédit Mutuel CM11 will have deployed more than 200,000 nexo-enabled terminals. nexo Fast Specification is based on EMV® chip and PIN technology and describes unambiguously the financial application on a terminal which is compliant to the SEPA Cards Framework of the European Payments Council. nexo Acquirer Protocol allows the use of real time or batch submissions as well as supporting direct connections from merchant to acquirer or via a payment service provider intermediary. nexo TMS Protocol provides an interface between a terminal management system (TMS) and a payment system. It supports the functions for configuring, managing and maintaining the application parameters, the software and the security keys of a payment system. Embracing nexo standards has enabled Crédit Mutuel CM11 to cement its leadership in globally standardised cross-border payment acceptance. Adopting a truly international acceptance and acquiring strategy confirms the banking group’s collaborative and merchant-centric approach. Dramatically reduce the cost of payment acceptance, by centralising the acquisition and processing of payments across multiple geographies. Greatly simplify the process of expanding overseas and setting up a payments acceptance infrastructure in new markets. Deliver a consistent user experience across markets, terminals and POI devices. Crédit Mutuel CM11 also benefits from being able to offer a genuinely global and pioneering offering to the world’s merchant community, uninhibited by the traditional barriers posed by domestic incompatibility. Now that the banking group has transformed its ability to scale payment services in line with the growth of its customers’ businesses, it has established clear competitive advantage that will support future growth in its merchant customer base internationally. 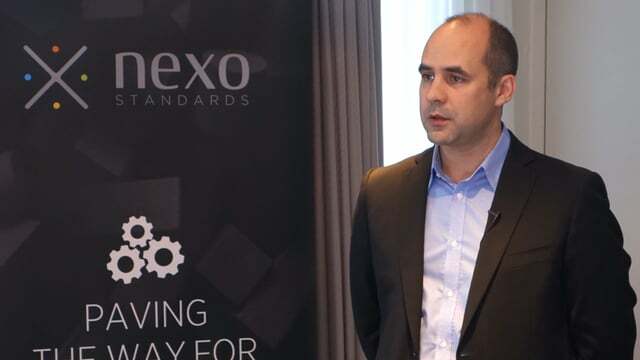 Crédit Mutuel CM11 continues to engage closely with nexo standards to evolve the protocols, specifications and certification processes that have enabled its new position in the global market. It is also working to enable new acceptance services to be rolled out on its terminal infrastructure, to further support innovation and create additional value for its customers. Crédit Mutuel-CM11 Group (“The Group”) represents the Group members of the Caisse Fédérale de Crédit Mutuel and the consolidated data of its subsidiaries: the Caisses de Crédit Mutuel Centre Est Europe, Sud-Est, Ile de France, Savoie-Mont Blanc, Midi-Atlantique, Loire-Atlantique & Centre-Ouest, Centre, Normandie, Dauphiné-Vivarais, Méditerranée and Anjou, and their common Caisse fédérale (CF de CM), and of the Banque Fédérative du Crédit Mutuel, its main subsidiaries: ACM, BECM, IT, the CIC, Targobank AG Germany, Cofidis, CIC Iberbanco and others.